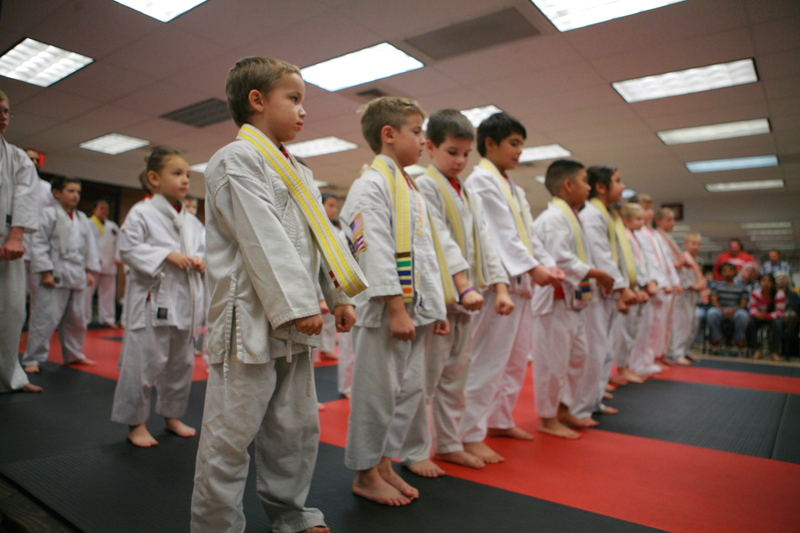 The primary focus of our Kids Martial Arts program is practical self defense. 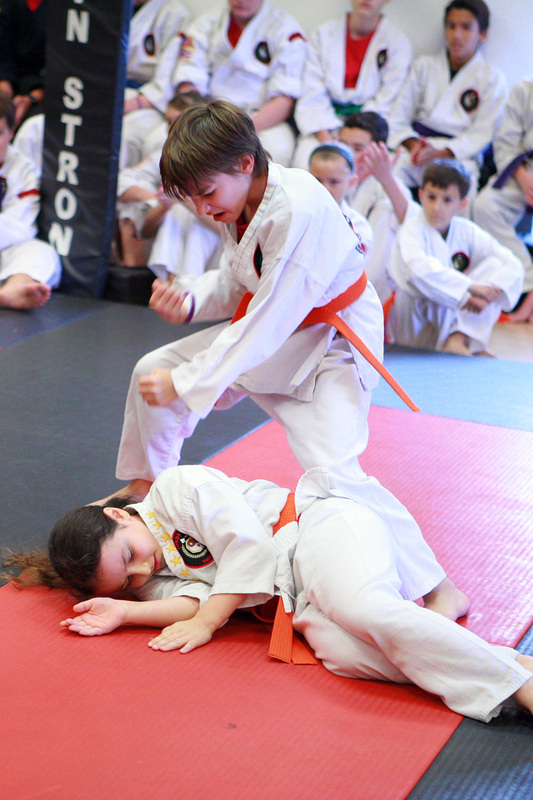 We don’t create bullies, but our kids will NOT be bullied by teaching practical skills for real-life situations. 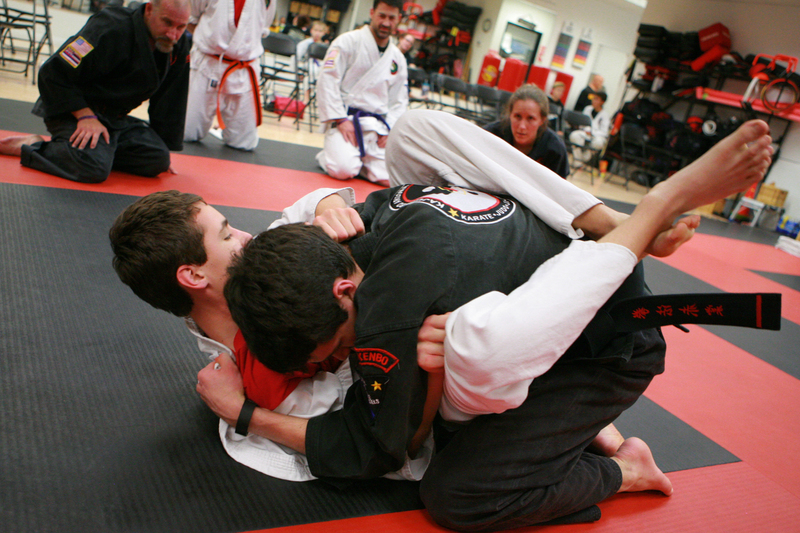 We work on standing techniques as well as ground fighting techniques. 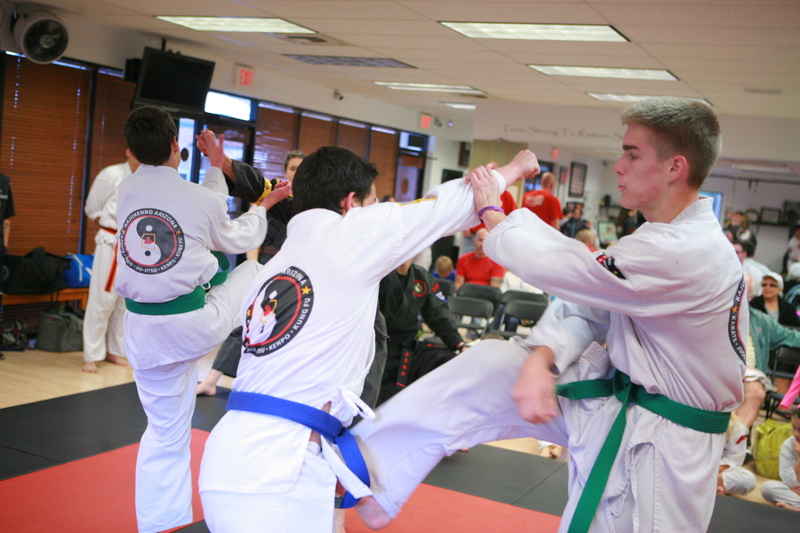 Our students develop their inner warrior spirit. 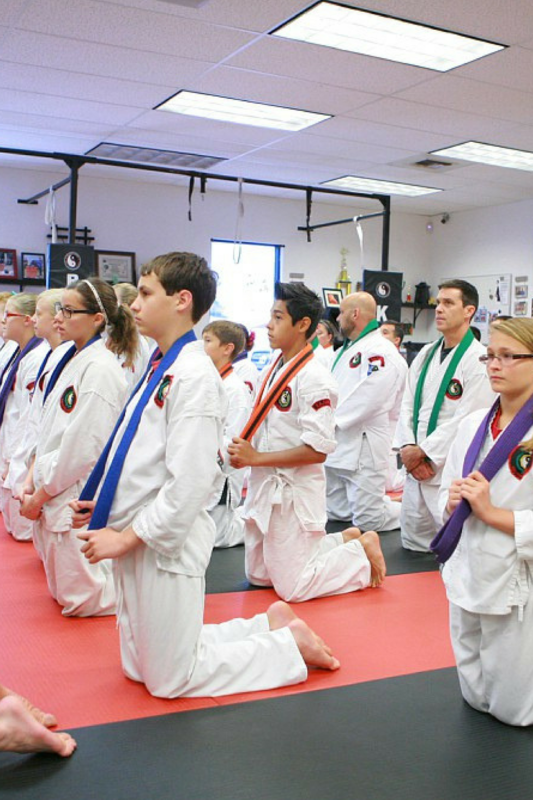 At Kaju AZ we understand that Karate and Martial Arts is more than kicking and punching. 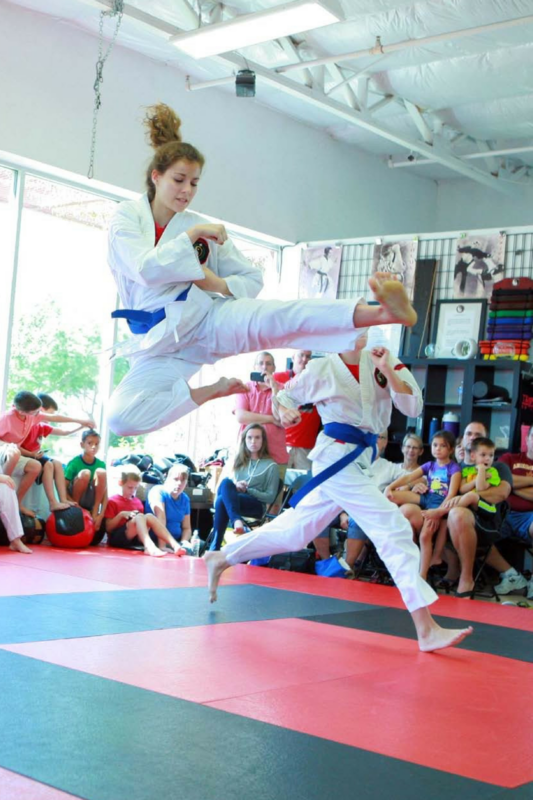 Our Kids/Teens become goal-oriented, strive for academic excellence, increase self-confidence and help our students develop a fitness-for-life mindset. Kids/Teans also utilize our special CrossPIT cardio conditioning program to get into shape, become physically stronger, with increased cardio and stamina. 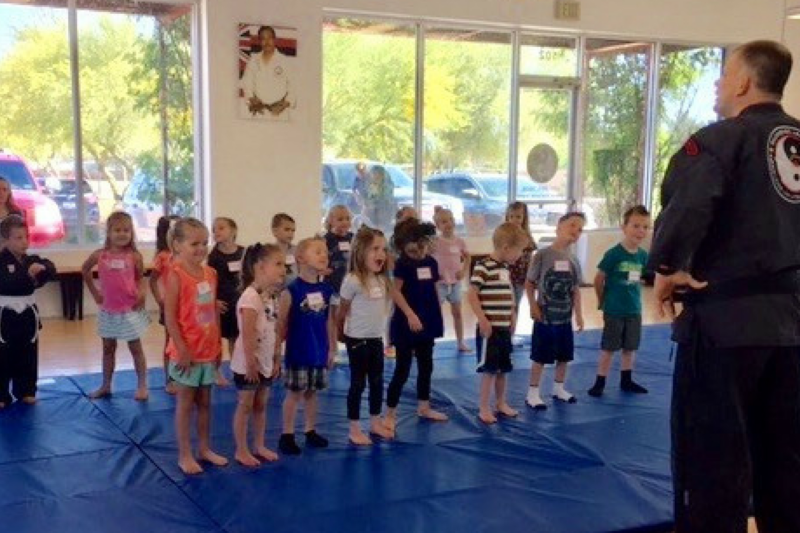 Our kids CrossPIT has been utilized as a special training program and summer training camp for other sports programs including football, wrestling, volleyball and swim teams. Again, our intent is to teach a love and respect for fitness as a way of life. Kids/Teens that progress and have a desire to do more are offered an opportunity to gain leadership qualities by joining our Junior leadership program: SWAT. The Special Winning Attitude Team develops the leadership skills to be used in all areas of their lives, and they often assist in our classes and at seminars. Our SWAT Juniors are an amazing example of great future leaders in the community.